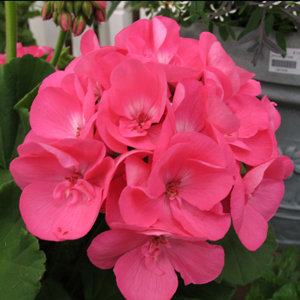 (Geranium) Americana® Pink Geranium is one of the best pink-colored Geraniums on the market. Like the other Americanas, Americana® Pink variety has excellent landscape performance and a well-branched plant structure. Geraniums make for great hanging baskets and combination planters. Dead head for continuous blooms and a nicer looking planters. 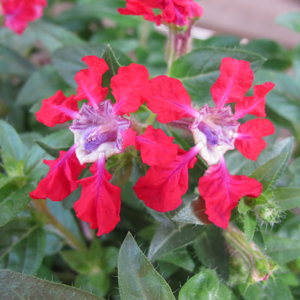 (Cuphea) Totally Tempted™ Cuphea is a great new plant that proves to be drought and heat tolerant. Totally Tempted™ is screaming bright crimson, and has an excellent branching and mounding habit. Try Cuphea in a Hanging Basket or add it along with other annuals in a combination planter and way you use be sure to be on the look out for Hummingbirds.